The new A5 Plus SCMS is Cort’s bold foray into innovative modern bass concepts such as a single-cutaway for enhanced body-neck balance and multi-scale for a longer scale length on the bass strings (from 35.5”) to shorter scale length on the treble strings (to 34”). 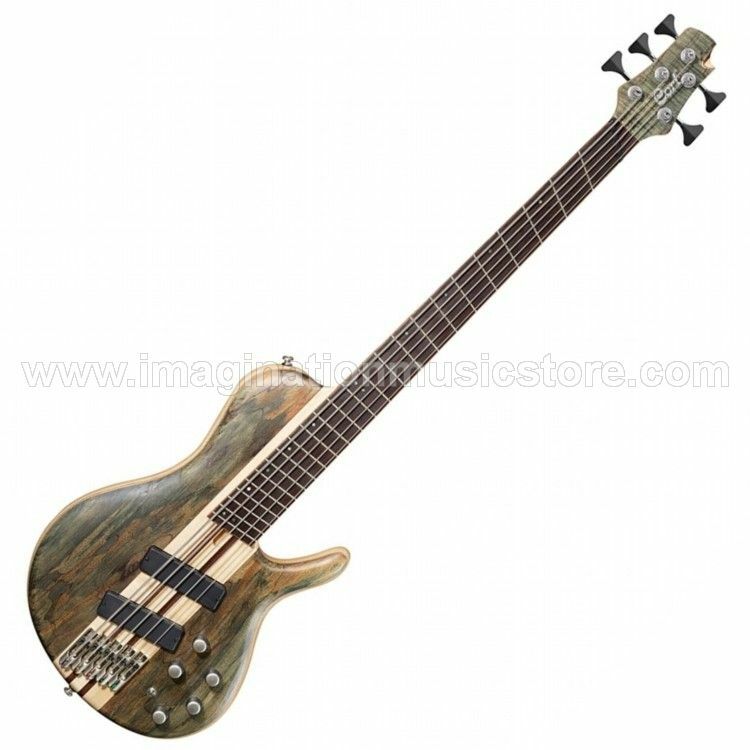 The result is a state-of-the-art bass for the most discriminating musician. The single cutaway body shape improves the body-neck balance for added comfort while still providing unfettered access to the high frets while the multi-scale produces more tension for the low strings, resulting in a tighter and more focused lower register sounds. Each string has its own dedicated hardtail bridge unit, greatly improving string separation and reducing crosstalk for greatly enhanced articulation and definition. An African hardwood, Pangapanga has characteristics of Wenge and produces a tight and coherent sound that mates extremely well with the instrument’s multi-laminate neck-thru-body construction. A5 Plus SCMS is equipped with Hipshot Ultralite Tuners (classic 20:1 tuning ratio) that is made of cast zinc with aluminum strings posts and mounting nuts, resulting in 30% weight reduction over other regular tuners and which results in improved balance and tuning accuracy. Classic body tone wood Swamp Ash is mated with exotic Spalted Maple top to strike an ideal balance between the traditional and the modern - both in looks and in sound. The strength and brightness of Maple is ideally balanced with the warm midrange of PangaPanga, resulting in superb playability, feel and tonal definition.